As often that it’s argued that social media ROI is difficult to measure, there is actually a tremendous amount of data to prove that Facebook can generate significant increases in revenue for companies that use it in innovative ways. Some businesses have leveraged the world’s largest social network (now over 1 billion users strong) so effectively, that it has been a major game changer for their brand images and a boon to customer loyalty. Here are some examples of companies with incredibly successful Facebook campaigns, along with explanations of the specific tactics and strategies they used to achieve that success. Edible Arrangements’ goal was to boost awareness around its chocolate dipped fruit while building its Facebook fan base. The company partnered with Digital Surgeons to develop a Facebook campaign where the first 100,000 new Facebook fans (which have since changed to “Likes”) received coupons for free chocolate covered strawberries — redeemable at retail stores. Edible Arrangements saw its Facebook Page grow from 5,000 to 50,000 fans in the first 24 hours of the promotion. Engagement also grew substantially. People began singing praises about Edible’s products and posting pictures of things like empty boxes and their children’s faces covered in chocolate. By the fourth day, the fan count had reached the initial goal of 100,000, and by the end of the 30-day campaign, over 170,000 fans were accumulated. 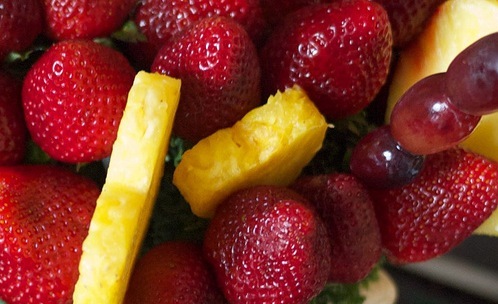 Not only did its Facebook presence explode, but Edible Arrangements experienced a double-digit percentage increase in sales from the year before. 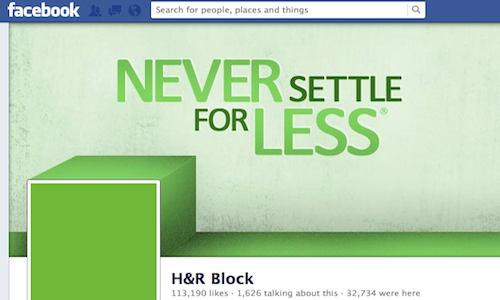 In 2010, H&R Block already had a very impressive social media presence. It was on almost every social platform and was creating original content years before everyone else realized that “content was king.” During the 2010 tax season, H&R Block introduced a social media campaign called “Get It Right,” which offered immediate access to a tax professional for Q&A through Facebook and other social networks. The campaign attracted 1,500,000 unique visitors and answered 1,000,000 questions, generating a 15 percent increase in business compared to the previous year, according to H&R Block. It was able to set itself apart from other tax services through a prominent social media presence, anchored by a successful Facebook marketing campaign. Pretzel Crisps had a marketing goal to gain new customers with product trials and reward existing customers for their loyalty. In February of 2011, Pretzel Crisps released a $1 coupon, available only to Facebook fans. In mid-March, the coupon changed to buy-one-get-one-free. Pretzel Crisps didn’t advertise this promotion at all in order to see if the coupon would go viral. 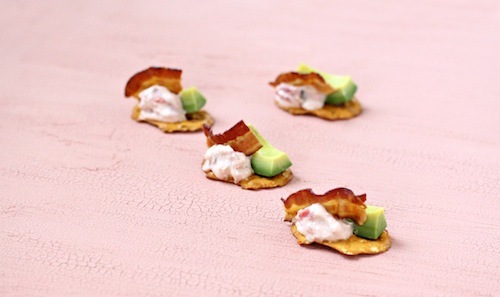 In just two weeks, Pretzel crisps saw its Facebook fans almost double from 6,800 to 13,700. 36 hours after posting the buy-one-get-one-free offer, Pretzel Crisps’ fan count more than doubled to 29,000. As for the coupons, the $1 off offer had an 87 percent redemption rate; the buy-one-get-one-free offer had a 95 percent redemption rate. As a result, Pretzel Crisps’ sales increased 93 percent during the 52-week period, compared to the same period the year before. Overall, the brand experienced 131 percent growth during the last 12 weeks of the campaign. This florists’ network used Facebook Ads to increase sales during the 2011 Valentine’s Day season. It gave those who saw the ad 15 percent off their purchases and 50 Facebook credits to use on Facebook Games. 1-800-Flowers.com also became a launch partner for Facebook’s new Sponsored Stories, using both Page Likes and Page Post sponsored stories to promote its offer. According to Facebook, 1-800-Flowers.com received 4,000 transactions as a result of the Facebook Credits promotion, and the campaign increased engagement by 250 percent. 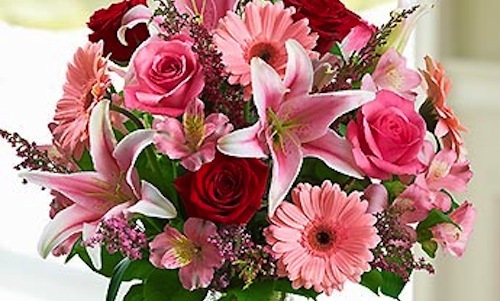 Additionally, the number of people who logged in to 1-800-Flowers.com using their Facebook accounts increased by over 400 percent. 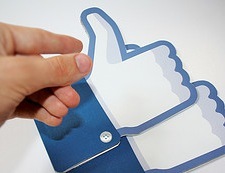 Know of any other brands that have achieved success metrics with Facebook like those mentioned above? Share your thoughts in the comments.